The demand for school psychologists rises every year in a direct proportion to the number of school-aged children who experience mental and emotional issues. I am not sure whether we can call this a success of the profession. Nevertheless, hats off if you decided to pursue this career. Few professionals are as needed as psychologists are, in the current state of affairs in human society. 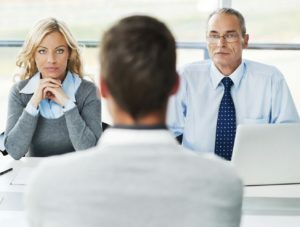 Good intentions and honest interest to become a great psychologist won’t suffice you to succeed in the interview for this interesting job, however. You will have to demonstrate excellent communication skills, empathy, understanding for the world of children and their problems, as well as the right attitude to work, and theoretical knowledge of psychology. The hiring committee will ask you some personal, behavioral, and technical questions, while trying to create a complete picture of your personality and skills. Let’s have a look at the questions, and how you should answer them. Why did you decide to pursue this career? Why do you want to work here, and not for some another educational institution? How do you plan to gain trust of the children? In your opinion, what are the most common mental and emotional problems children face nowadays? What are your expectations on teachers and school administrators? One of the students tells you that he thinks about committing suicide. What will you do? Cliche answers work the best in this case. Say that you feel for the children, for the problems they experience. Say that you believe to have a good understanding for their world and challenges that threaten their well-being, and want to help them. Alternatively you can tell us a story about your own experience with a school psychologist (during your school time), and how this positive experience motivated you to pursue the career in the same field. The more you know about their school, the easier it will be to answer the question. First option is to say that you are local, and have a good understanding for the local community and the problems children experience there. Another option is to point out something that makes their school special. This can be many things. Their reputation, their attitude to special needs children, their study programs, the benefits they offer to teachers and other school workers, etc. The third option is to simply say that the location of the school fits you perfectly, or that they were the only school looking for a school psychologist, and so you applied with them. A tricky question. Many people would say that they’d be ready in their office, waiting for the children to come, or for the teachers/administrators to bring them in. Then they will do their best to talk to them and to help them face the adversity they experience. This is not a really good answer though. It shows passivity, while you should show a proactive approach to work. Tell the hiring committee that you plan to actively talk to teachers and administrators, and observe the children during events and classes, trying to identify children who may need your help. You may even suggest talking to children on a regular basis, or doing any other things that will help you to spot the problems. Listening first, speaking second. Showing your own vulnerability sometimes. Being there for them, anytime they need you. Stepping out of your comfort zone. Being a part of the community rather than an isolated person who’s hiding in their cabinet, someone students hardly know. Trust is crucial if you want to do a good job of a school psychologist. Show the interviewers that you know how to build it. Nevertheless, you should name at least a few problems and illnesses. Generally speaking, you can list anxiety disorders, mood disorders, eating disorders and even schizophrenia. Speaking about emotional problems, you won’t do wrong with pointing to the feelings of deficiency, lack of recognition, false self image, and other issues that affect many children in 21st century. This is another tricky question. On one hand, a great study environment is always a team effort. Teachers have to cooperate with other staff members, including the psychologists and counselors, to ensure that each child is allowed to reach their full potential in school. On the other hand, you should focus mostly on your own job, trying to do it as well as you can, without relying on help from other personnel. Tell the hiring committee that you hope to have a fruitful and friendly cooperation with other staff members, but that you expect the most from yourself–and will try to do a great job as a school psychologist. This is a rather extreme question, and you won’t necessarily get it in your interview. 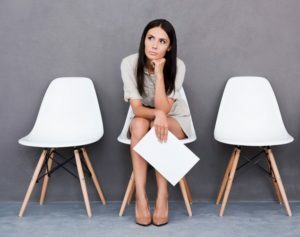 But the girting committee will for sure ask you at least one or two similar questions, inquiring about a specific situations you may experience in your job. To such situations belong: a student can’t pay attention during the lessons, is frustrated, is very anxious and scared of going to school, can’t start friendships with fellow students, gets pregnant and doesn’t know how to handle the situation, etc. Thoughtfully understanding their problem, within the context of their life situations, social position, and other things. Showing them all the support in the world, being a great listener at the first place. Asking them right questions, while trying to direct them on the right path, or helping them to find the right answers. Suggesting an appointment with a psychiatrist or with other specialist, if the situation requires it. Disclaimer: This is my personal view on the situation and steps we should take, based on talks with several school psychologists, and my own experience in the field. In no way should you consider it as a general guidance for all school psychologists. What do you consider the toughest aspect of this job? Describe a situation when you reached a goal and tell us how you achieved it. Describe a situation when you faced a particularly demanding problem or challenge in your personal life. How did that affect you in your job? Why should we hire you, and not one of the other candidates who apply for this job? You won’t compete with many other people for the job of a school psychologist. Typically just two or three people will be shortlisted for the interviews. Nevertheless, you will have to demonstrate your readiness for the job, right attitude to work, as well as strong motivation and understanding for your role in school. We wish you good luck! InterviewPenguin.com – Your best job interview coach since 2011. Interview Success Package – Great answers to thirty most common interview questions, and much more. Learn everything you need to know to succeed in your interview. Follow-up letter after the interview – Advice on how to write a good letter (or email), with sample letters attached. Understand the most important sections on your letter, and make a final push towards a coveted job contract.